After two years in a refugee camp in Northern of Botswana, Bessie Head settled in Serowe. She gave up her teaching to become a full-time writer. It was in this small village that she wrote the first of many books, When Rain Clouds Gather, a book which had grown out of her experience in the refugee camp. The book was well received but this was a time of immense struggle for Head. Psychologically, she felt as if her personality "was being blown to bits". She did not feel part of the Serowe community which, she believed, viewed her with constant suspicion. Her friend and fellow author, Patrick Cullinan, remarked that she never learnt to speak Setswana and, "It was as though she kept her language as a barrier". Head lived in a state of almost constant poverty, and struggled to raise her son. She was plagued by depression and psychotic episodes. "It was not well. I was tortured beyond endurance. For one brief moment I threw myself to the ground and said: 'God, help me'. Then I made an error. In the same breath I said: 'Which God?' As though subconsciously I had not come to the end of the road yet. That question, the pause and looking over my shoulder, unhinged my mind which was already over-burdened with suffering. I wanted to throw everything overboard in one violent breath, which I did. No one followed what I was saying. It was all an internal torment belonging to me alone. In the confusion I opened up a wide radius of pain for other people." " First they received you from the mental hospital and sent you to a nursing home. A day later you were returned because you did not look white. They sent you to a Boer family. A week later you were returned. The woman on the committee said: What can we do with this child? Its mother is white." 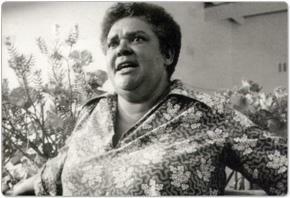 Bessie's books were internationally acclaimed and she became known throughout the literary world. She travelled to speak at literary events in the USA, Germany, Denmark, Holland, Nigeria, Australia and England. But her mentall illness led to fractious relations with friends and publishers and she felt increasingly alienated. Bessie began to depend increasingly on alcohol. Jean Marquard, one of the last people to visit Bessie Head, recalled the sorry state in which Head was living towards the end of her life. On 17 April 1986, she died in Serowe from liver disease.